Amilyn Holdo, Resistance Admiral... and maybe Force user? When she’s not leading Rebels or generally being awesome, Admiral Holdo was also apparently... very subtly... being Force-sensitive. At least, according to actress (and probable actual Jedi) Laura Dern. There’s something about her that longs to protect it, and holds that with great care. There’s a sort of a light on and a wisdom that she speaks about in the film, and speaks to Oscar Isaac’s character briefly about it. Yeah, her primary goal was to protect the light, to protect the Force, and to keep the revolutionaries alive,. And I think the film speaks so beautifully to that with this last image of the next generation of the Resistance, you know? Now, don’t be running to Wookieepedia just yet—this is more down to Dern’s interpretation for her character rather than a canonical statement that Star Wars fans would crave when it comes to new information. But it’d be a welcome addition if it was actually added into canon, because the Star Wars galaxy could really use more Force users that interpret that ability in ways beyond running around in bathrobes and waving deadly glowsticks at each other. Escaping the Force itself is an unlikely thing in future Star Wars movies—after all, it’s what binds the galaxy together, presence of Jedi and Sith or otherwise. Rogue One didn’t have any Jedi in it, but it still had the Force, through Chirrut and Baze’s beliefs. As far as we know Solo may not have Force users in it at all—but considering that we know next to nothing about the film beyond that initial trailer, there’s always a chance it could. But these characters are at least steps into a Star Wars movieverse where one’s ability to use the Force doesn’t include a complimentary lightsaber and wardrobe change into something a bit more warrior-monk. The Last Jedi is cut through with the idea of tearing down old establishments—whether it’s the Jedi, the wealthy elite partying on Canto Bight, or even the heirarchy of the First Order—to replace them with something that’s not just new, but for everyone: Jedi lead by Rey who don’t discriminate through rules held for thousands of years or by the number of magic doohickeys in your blood, a galaxy that fights for love rather than for profit, a Resistance open to people from all walks of life to stand against an Order that would deny them that freedom. From a nobody stable boy to a pupil taught by Luke Skywalker himself, The Last Jedi’s biggest message is that the story of the galaxy far, far away belongs to everyone, not just a chosen few. And that means more Force users who don’t necessarily match up to the interpretations of the Jedi and Sith we’ve already had in the movies. They could be pilots, they could be generals like Leia Organa, hell, they could be roguish smugglers more than happy to use a mind trick to get out of a dodgy situation. 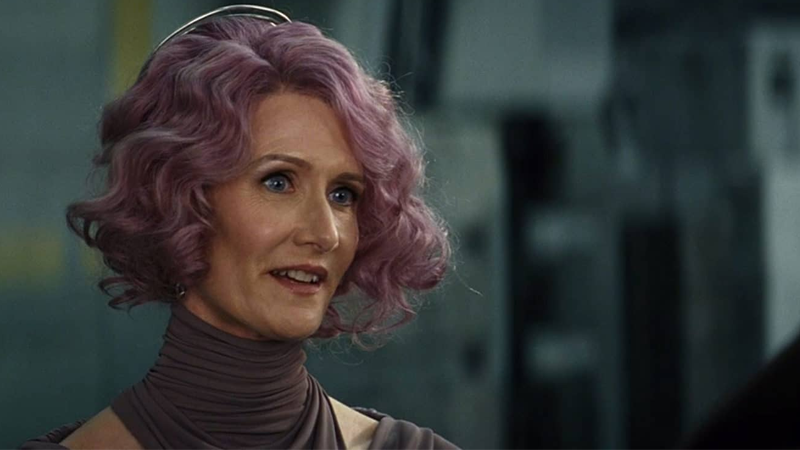 They could be space hippies, like Dern says of Holdo. Not everything has to neatly fit into the dichotomy of what Star Wars has already given us for decades. What better way to show that than to live up to the idea of the Force being an energy that flows through everything and everyone in the galaxy, and giving us more than just the kinds of Force users we’re already familiar with?